Posted by artastikcreations in 1-2nd grade, 2-3rd grade. 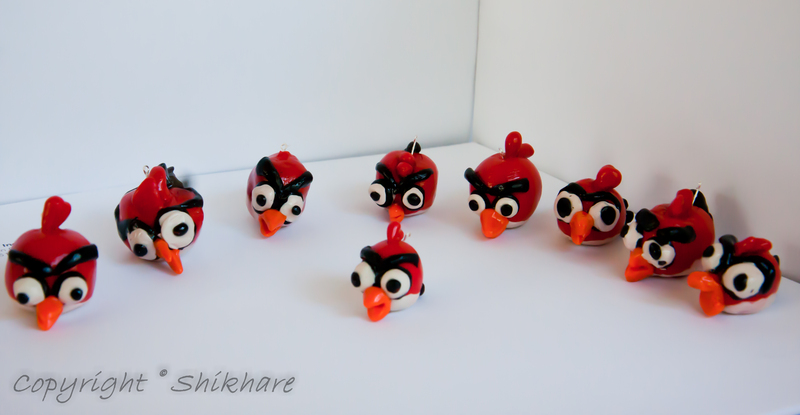 Tagged: Angry Birds, keychain, polymer clay, sculpey. 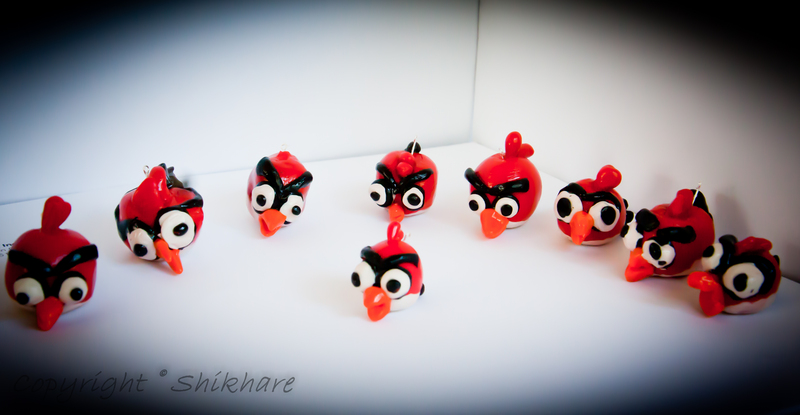 Comments Off on Love Angry Birds? 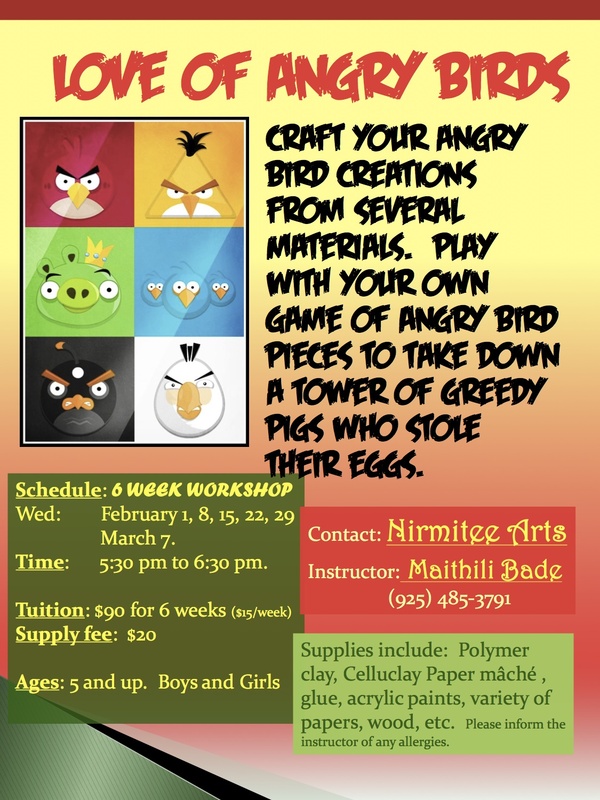 Being a ‘mental health therapist’ by profession, I have some issues when it comes to saying Angry Birds. I know .. I know how it goes.. I am reading way into it. But, (again another notorious word), its a strong emotion for those cute little things! On the other hand, I seriously, I love them. “I am glad Angry Birds are in this i-world,” said my My Little Handsome Boy one day. Hmm.. My thinking brain started working on high speed. I decided to make a cute little project for my 5 and 6 year old students. I thought of starting the class with their fine finger muscles first by involving lots of squishing and mushing of polymer clay. As they progressed, I thought I will add some fun stuff for the little ones to move their whole body and play using their gross motor skills. Here is the flyer for my program for 6 weeks. Hope you enjoy it as much as I do! And here comes my cherry on the top! While doing these projects, I especially enjoy discussing my favorite topic: EMOTIONS!!! -and lastly, what emotion is expressed through all those wrinkles. 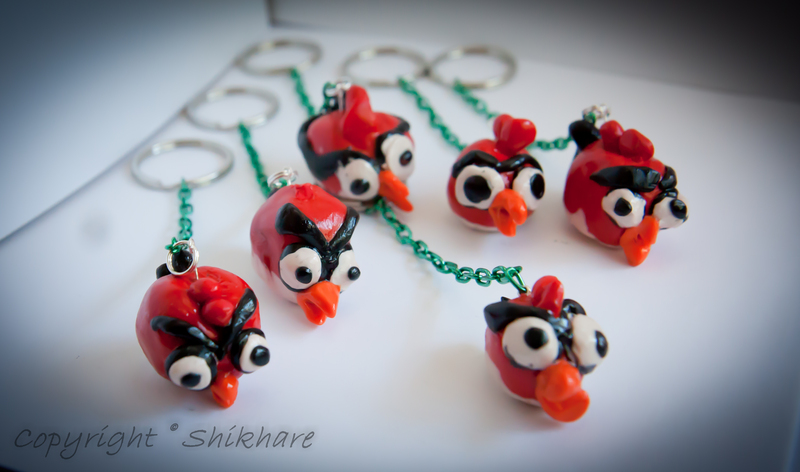 Once all the hard work was done by these tiny fingers, I transformed these to cute colorful keychains. Look at their mighty angry expressions!! All of these are so unique and alike in themselves! I work with my little 5 and 6 year old students to make wonderful projects on something they love. My Little Handsome Boy has been my biggest inspiration. I always wanted to solve the puzzle: what happens to boys who have great, vivid imagination and at the same time they are stuck at reflection. What would you do when you see a child who has bright eyes full of stories and characters floating in front of him/her and when it comes down to a sketch, its not the same. Oh, no!!! The more I researched, I read that the gross motor movement* is greatly developed in boys and can take 6 months more to develop the fine motor skill** for that age group. Sometimes I have seen children in tears over the drawings they create. It makes them feel awful when they are supposed to feel proud of themselves for trying so hard. So here I was determined to make a change. I wanted children to have fun and solve the problem of developing those darn finger muscles. Now its up to me how to get the job done. Lets solve this problem ArtAstically! *Gross motor movements involve those bodily actions that involve the large muscles of the body, e.g. : walking, running, playing with ball, jumping, etc. ** Fine motor movements involve eye hand coordination for small fine tuned finger muscles for functions such as writing, sewing, painting, beading, etc. It takes tremendous practice and patience to have a complete control over both of these movements to become skills. Imagine a small baby learning to move its head, rolling, flat on tummy, pushing up, crawling, standing, etc.. Think about the attitude to “never give up” instilled in instinct at such a young age!! !